My first day of holidays and I am exhausted, the last week of school was very, very, very busy! You can read about it here. 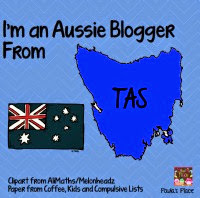 So what did I do on my first official day of the holidays....I finished a file for TpT, yes my life is that exciting! Actually I have really enjoyed just staying on the couch and not doing much at all. We have not planned ANYTHING for these holidays so I will be taking the kids out and about in our area to find some fun things to do. 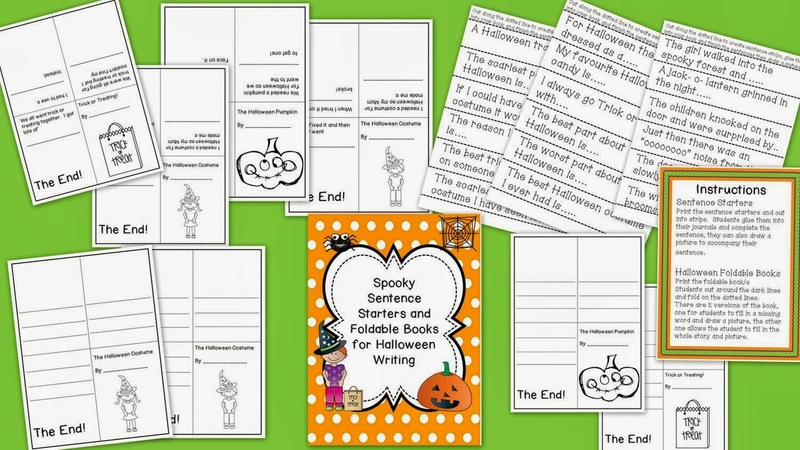 Heading into October I am sure there are many teachers looking at Halloween activities, so you might like to pop into my store and check out this Spooky Sentence Starters and Foldable Halloween books. All you need to do is to print and use, so easy and quick! The sentence strips can be cut and glued into writing journals/books and then the student finishes them, they can then draw a picture to go with their writing. I would have students read their sentences to each other or use them as a whole class Halloween book. I love how the foldable books came out! There are 2 options, 1 has some text and gives students a word to fill in and the other has no text or pictures so that students can write their own story. For a very limited time I am offering this as 50% off, so click on one of the pics above to go straight to my store and get a Halloween bargain!